Show Your Team Spirit...for Less! 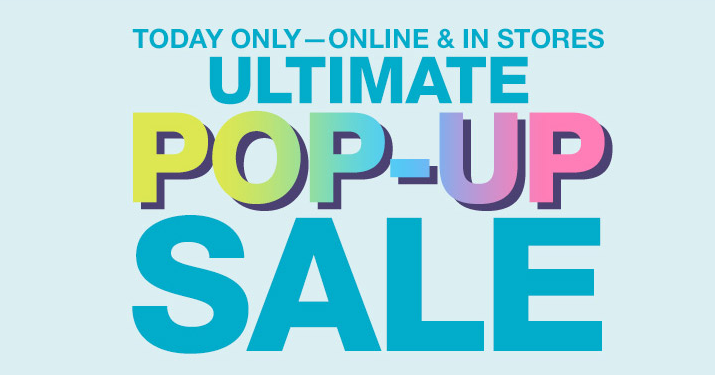 The Macy’s Ultimate Pop-Up Sale is back, but today only! We never know when the Macy’s Ultimate Pop-Up Sale will ‘pop up’, but as for me, I love a good sale to pick me up at the beginning of the week. The only bad news about this sale is that you have to act fast. In addition to the great deals you can find online today, you’ll also get free shipping at $49.